Grand Bay Kennels - Welcome! At Grand Bay Kennels our Italian Spinones are the product of carefully thought out breeding, with consideration for type, temperment,soundness, and trainability. 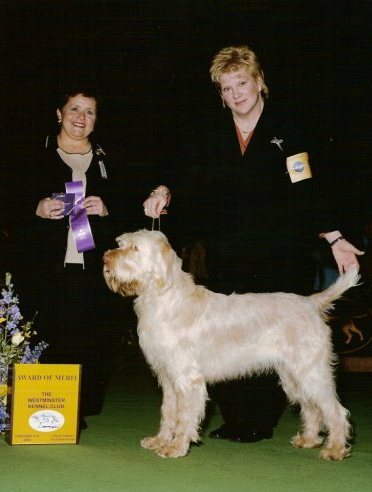 Our goal is to produce Italian Spinones that exceed standards, excel in the field, show, and obedience as family companions. Our hope is that through proper breeding and stringent testing we together pick the proper puppy to match your family and hunting needs and will be a treasured member for everyone.